It has been four years since the BJP government came into power and writers, intellectuals, rationalists have perhaps never received more threats than in the last four years. Most recently, the Goa based Konkani writer Damodar Mauzo has been provided with special security after the Special Investigation Team (SIT) reported his name in the hit list of the Hindu extremist group, Sanatan Sanstha. The SIT, which is also probing journalist Gauri Lankesh’s murder, reported that Mauzo’s life is in danger since he is on their hit list. This is not the first time a progressive writer has been targeted by the Hindu extremist group. Only last year the nation witnessed the cold-blooded murder of Gauri Lankesh, the editor of Lankesh Patrike in Karnataka. The same Sanstha was also involved in the daylight murders of rationalists Narendra Dabholkar, Govind Pansare and MM Kalburgi. 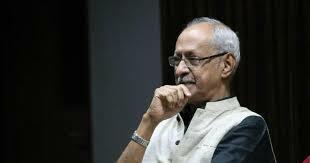 Konkani Basha Mandal (KBM), a leading literary institution in Goa, has issued a statement in solidarity with the writer, stating that “The Mandal warns right wing forces not to interfere in the freedom of expression of writers and thinkers”. It has also condemned the existence of fanatic organisations like the Sanatan Sanstha. KBM president, Chetan Acharya, has also demanded a ban on such extra –constitutional bodies.